Following a last-gasp 1-0 win over Young Boys at Old Trafford, Mourinho was also adamant that it was crucial to United's ambitions to keep the 28-year-old Spain international. Manchester United’s David de Gea was hailed as the best keeper in the world by Jose Mourinho who said the Spaniard wants to stay at Old Trafford after his amazing save helped them qualify for the Champions League last 16 on Tuesday. Following a last-gasp 1-0 win over Young Boys at Old Trafford, Mourinho was also adamant that it was crucial to United’s ambitions to keep the 28-year-old Spain international, who has been linked with French champions Paris St Germain. De Gea has been at the centre of a drawn-out contract saga at United. His deal is set to expire at the end of the season and United have been negotiating with him over a new one and also have an option to extend for another year. The home side were labouring on Tuesday and, with the Swiss champions growing in confidence, a 70th minute Ulisses Garcia shot was deflected and looked to have put the visitors ahead until De Gea flung himself backwards to claw the ball to safety. Goal-line technology demonstrated that the ball was on the line when he somehow managed to perform his acrobatic heroics. 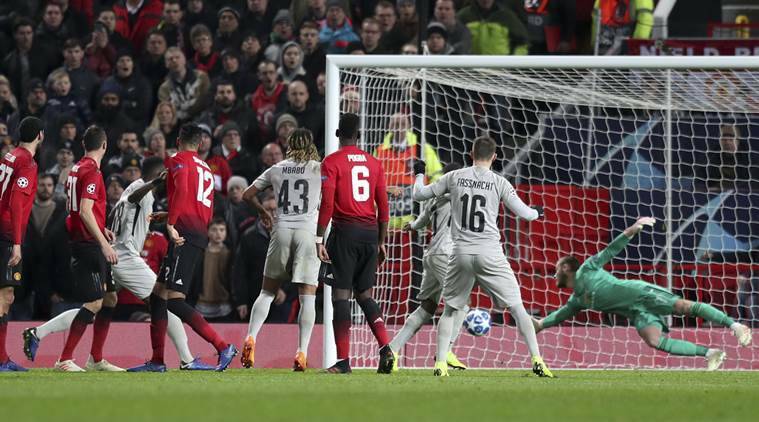 “It looks a phenomenal save, a save that the best goalkeeper in the world does and gives his team the possibility to win the match,” said Mourinho.